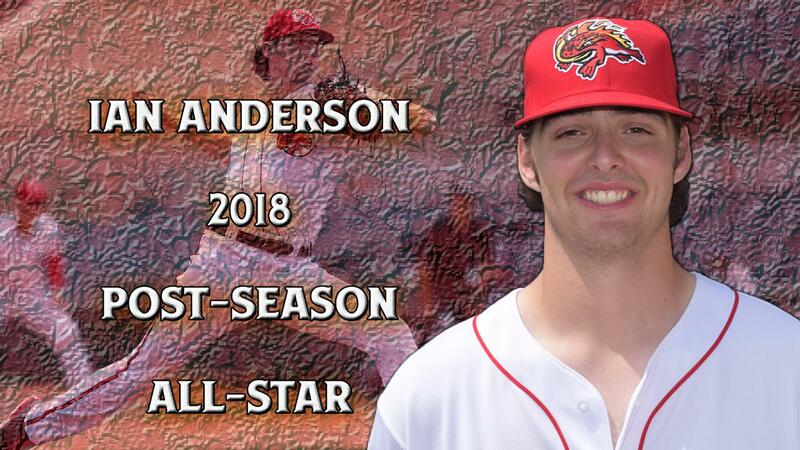 KISSIMMEE, Fla. (Aug. 29, 2018) - The Florida State League announced its 2018 end-of-season All-Star team on Wednesday afternoon, and Ian Anderson will represent the Florida Fire Frogs on the post-season squad. The Atlanta Braves' third-ranked prospect (MLB.com) paced the league with 118 strikeouts in 100 innings prior to being promoted to Double-A Mississippi on Aug. 8. The right-hander held opponents to a .198 batting average, and posted a WHIP of 1.13 in 20 starts. The Rexford, N.Y. native posted a record of just 2-6 in his time with Florida, but had an ERA of just 2.52. Patrick Murphy of the Dunedin Blue Jays (TOR) was named Pitcher of the Year, and Clearwater Threshers' (PHI) outfielder Jose Pujols was billed as the Player of the Year. Palm Beach Cardinals' (StL) Dann Billardello was voted Manager of the Year in 2018. The Daytona Tortugas (CIN) had six players named to the All-Star team, leading the Florida State League. Votes were cast by teams' field managers, official scorers, coaches and media/broadcasters. The Florida Fire Frogs are the Advanced-A affiliate of the Atlanta Braves and compete in the Florida State League. The Fire Frogs play their home games at Osceola County Stadium, located at Osceola Heritage Park in Kissimmee, Fla. For more information, please visit www.FloridaFireFrogs.com, and follow the team on Twitter, Facebook, Instagram, Snapchat and YouTube.